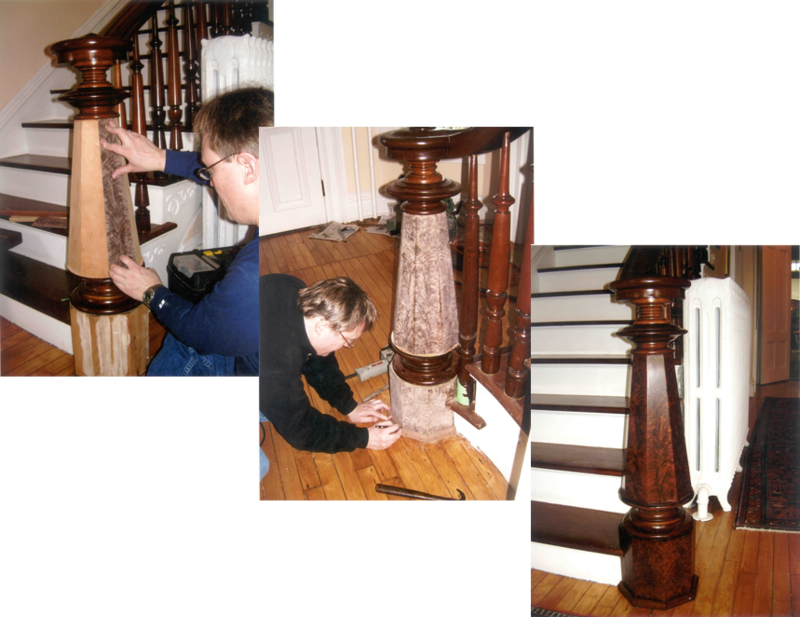 This 19th century newel post had lost its original flame grained walnut veneer to inept workmen during a home renovation. We accurately recreated the original appearance based on surviving fragments. Pictured is a mid Twentieth Century George Nakashima table before and after the finish is restored. French polishing provides a beautiful â€” but fragile â€” finish that gives a piece a very high gloss. It requires the careful application of many thin coats of shellac. 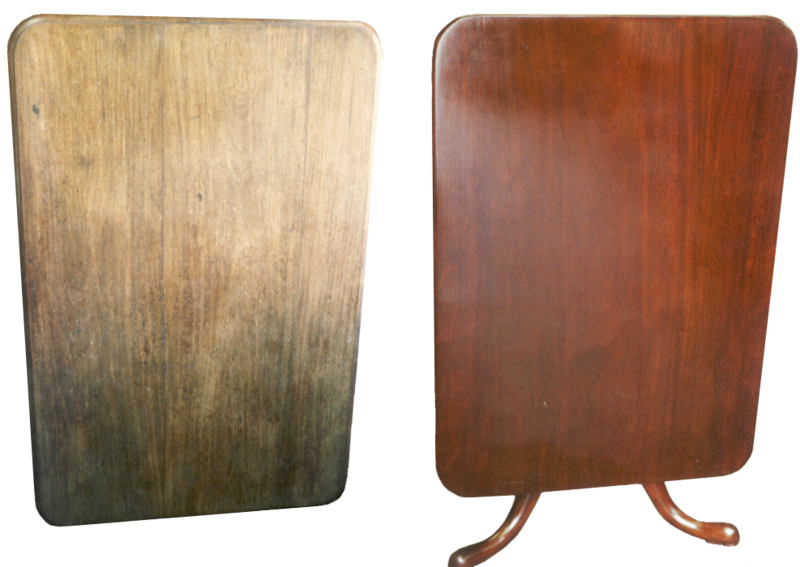 This eighteenth century mahogany tilt top table was restored with traditional French polishing techniques. This Empire period card table now reveals the originally intended beauty of its woods.